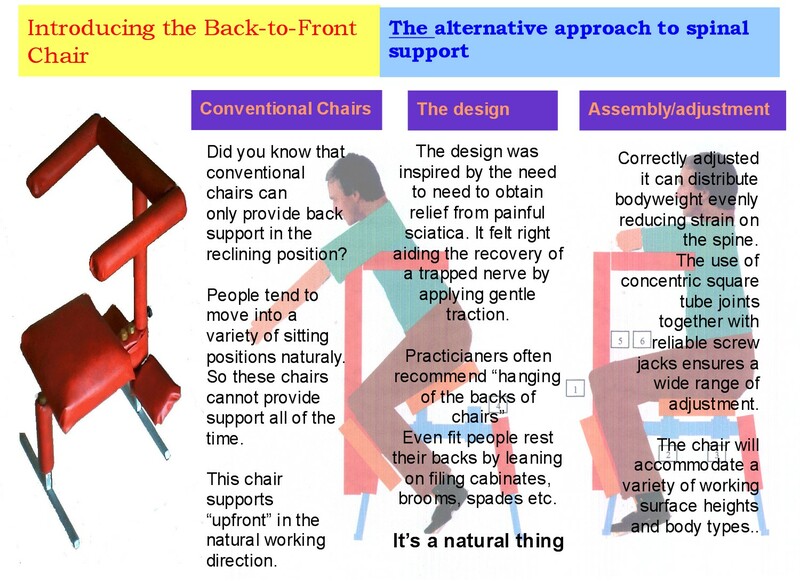 The chair is undergoing continuous development the latest design incorporates more back compliance (the original none folding design had a sloping back which was more restful) . Further design will incorporate resistant slope compliance. The chair is in use in our laboratory for close up jobs and it is our intention to achieve an optimum design comfort.